Carlos Alberto Gonzalez-Barahona is affiliated with the Mara Salvatrucha (MS-13) gang and has ties to Houston. He is an El Salvadorian national and has been deported multiple times from the United States. In 2010, Gonzalez-Barahona was convicted of Burglary of a Habitation after an incident in Harris County. In October 2013, he was deported from the United States back to El Salvador. On June 18, 2017, Gonzalez-Barahona allegedly shot and killed his estranged girlfriend at their apartment located in northwest Houston. After the shooting, he reportedly fled the Harris County area and abandoned a pickup truck he was driving in Wharton County off of Hwy 59. His whereabouts since then are not known. Prior to abandoning the truck on June 20, he allegedly kidnapped the driver of the truck at gunpoint in Brazoria County. On June 20, 2017, the Harris County Sheriff’s Office issued a warrant for Gonzalez-Barahona‘s arrest for Murder. On July 6, 2017, the Brazoria County Sheriff’s Office issued a warrant for his arrest for Aggravated Kidnapping. 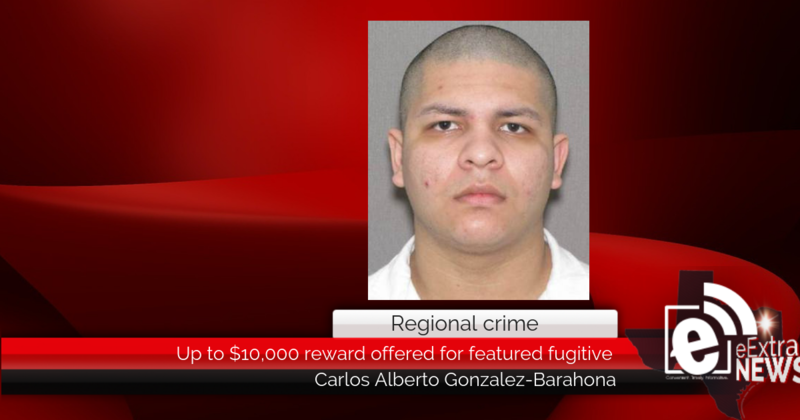 Crime Stoppers of Houston is also offering a reward of up to $5,000 for information leading to the charging and/or arrest of Gonzalez-Barahona.